Few people understand branding as does our president-elect. The fact is that he might well be looked upon by slightly over half the nation as little other than a brand. But he knows the territory and what he chooses to do with his first term will linger for generations in his party. Let’s discuss what is at stake. The Republican Party has slowly devolved (some might say been captured) by its wilful outreach to a base, formerly held by the Democratic Party in the South and left up-for-grabs by Lyndon Johnson’s passage of the Civil Rights Bill. The tail has somehow come to wag the dog. Its devolution was further tied to twenty-five years of increasing intransigence, highlighted and powered by Grover Norquist’s pledge by all Republicans to never raise taxes under any circumstance. Norquist was elected by no one, but he prevailed and a party that cannot negotiate on something as vital to American interests as taxes finds itself unable to negotiate anything of value. 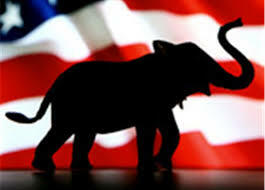 Thus Republicans became the party of stalemate, with little to say to their Congressional adversaries but no. The seeds of gridlock grew into weeds of discontent across America. Washington no longer worked, Americans knew it and both parties suffered the wrath of their constituencies. As years, now decades rolled by with an immobilized Congress, frozen in Grover Norquist’s headlights and increasingly dependent upon their shrinking bases, fewer and fewer citizens even took the time and interest to vote. Candidates, both liberal and conservative, were no longer able to deliver what they promised. So, where do we go from here, with a presidential upset that's rattled the history books off the shelves? Trump and his party have an interesting, perhaps historic opportunity. They control or (in the case of the Supreme Court) will soon control all three Constitutional levers of government. The Republican Brand is vulnerable, but their opportunity is beyond imagining. A party on its knees and desperate just weeks before the election has been transformed overnight by a knockout punch by an outsider even they disdained. They can use it in vengeance to destroy the precious little accomplished by eight years of deadlock and trash a sitting president’s legacy in a hissy-fit or… reshape a future in their name that will broaden and strengthen a Party that only a month ago gazed into the abyss. One choice is to co-opt those Democratic promises that actually bring us together as a stronger nation and Brand them in the Republican Name. The neocon-hated Obamacare could be dumped and surely will be dumped, leaving 20 million Americans without any healthcare at all. Or, it could finally be provided with its much-needed public option and rebranded as Republicare. Suddenly it becomes a wildly popular program, extending its coverage to an additional 40 million citizens who desperately need it. That’s a total 60 million who vote. The Republican Brand becomes more powerful. Climate change is another obvious target for establishing the Republican Brand. Initiated during the Republican presidencies of Ronald Reagan and George Bush senior, it holds a historic link to the party, long since abandoned. Trump simply cannot be allowed to believe it is not a viable and vital issue. A sustainable, environmentally progressive move away from fossil-fuels can and must carry the Republican Brand during a Republican sweep of all three levers of power in Washington. The REP (Republican Environmental Policy) Act could and should make that Brand universal, enormously spreading its power internationally and bringing significant numbers of Democrats their way. No pipelines, an end to fracking and significant moves in the direction of renewable energy will put them on the wrong end of Exxon and the right end of history. Renewables are the future, as China, Saudi, Germany and multiple nations already know. Any Brand Manager knows you ride a rising rather than an ebbing tide. Donald Trump may be many things, most of them panicking half the nation, but he is above all a man who now jingles the keys to his party in his pocket. And The Donald can go from there on countless issues, if he so chooses and if he sells his party on their incredible opportunity. In all the current controversy, one thing is undeniable . . . Trump is a first-class salesman and a Master of the Brand. Harry Truman famously said “it’s amazing what you can accomplish if you don’t care who gets the credit.” Doubling down on that, it’s amazing what a party you can build if you take the credit for accomplishing the goals your opponents promised and couldn’t deliver. Will he do that? Not bloody likely, but what an opportunity missed.